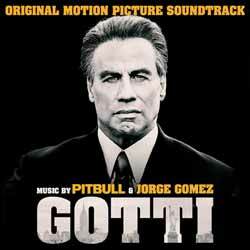 The soundtrack to Gotti marks Pitbull’s first motion picture score. The album also includes three solo Pitbull tracks, one of them being the single 'Amore' featuring Grammy-nominated singer/songwriter Leona Lewis. The release contains 19 tracks (44 min, 30 sec) and for a first soundtrack project, Pitbull hits the ground running. This is a deeply rich, multi-layered, atmospheric score. It covers so many genres (from the hip-hop/pop 'Amore' to the rock infused 'Somebody to Be' and the numerous pieces that could almost be viewed as classical music in their own right). If I had one slight grumble... I know it's cliched, but it would have carried a little more weight and sounded a lot bolder, if a full orchestra had been employed. For the most part it sounds like it's mostly digital with instrument samples being used.